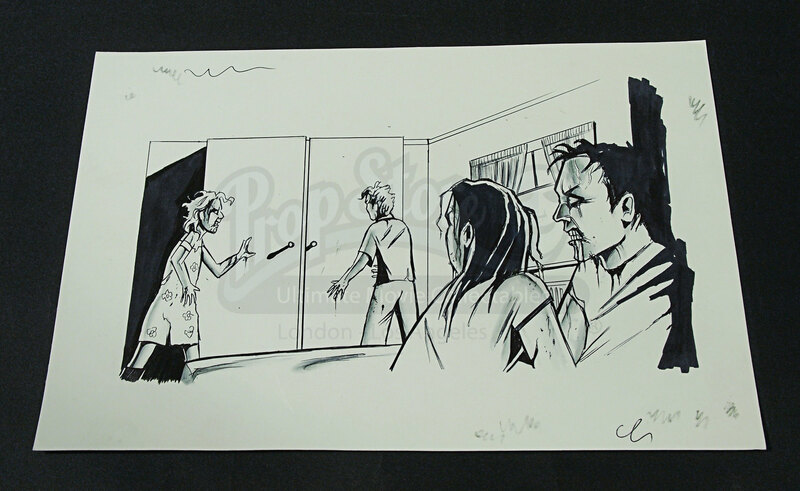 A set of four concept storyboards from Tom Shankland’s 2008 horror film The Children. During a Christmas break away, a group of parents discover that all is not right with their kids - and that's an understatement. 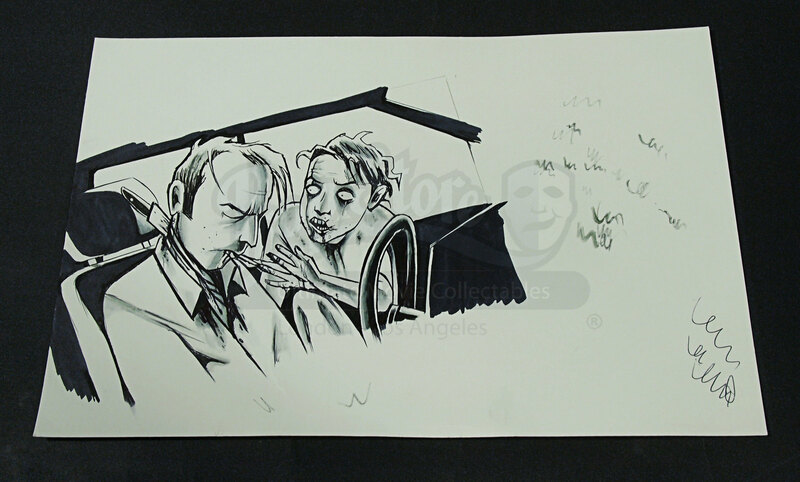 This collection of concept artwork features Biro® and ink work by the storyboard artist, Phil Perry. 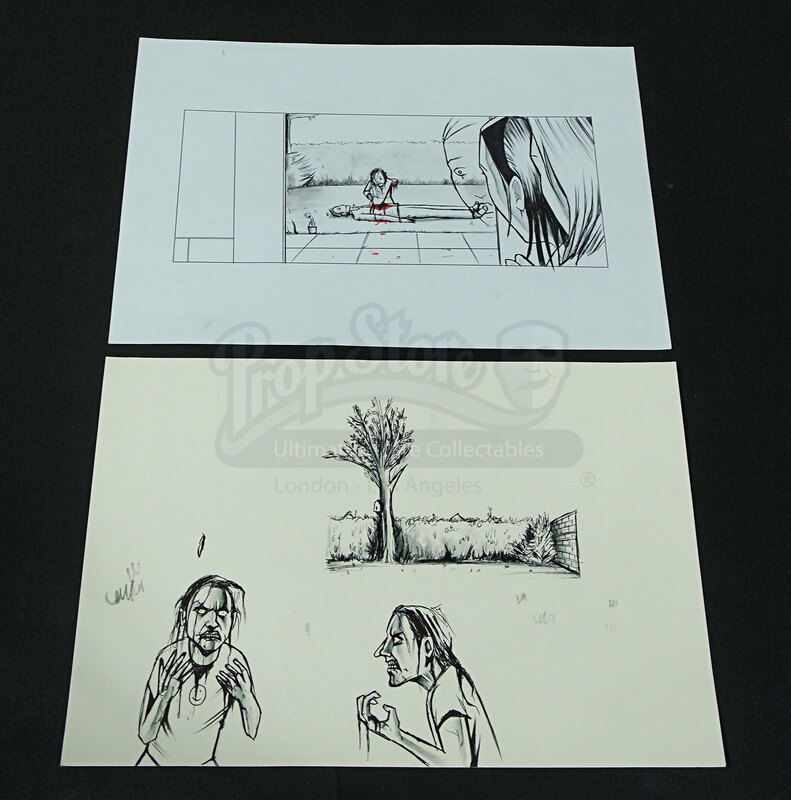 Each scene depicts a child doing something murderous to one of the adults in the movie. There are both internal and external scenes, one of which showing a section of garden with a tree complete with birdhouse. There are several 'quick scribbled' lines showing where Phil was getting his pen ready before commencing with the illustrations. 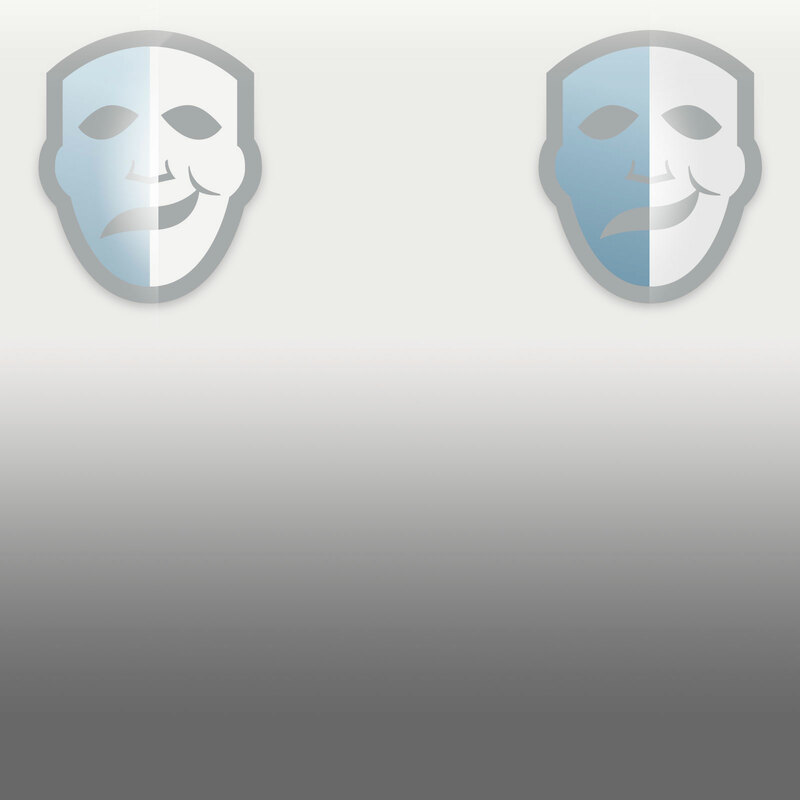 Three of these pieces are on thick cream A4 card and one on A4 white paper. All are highly detailed and in a good unsigned condition.